With the third of four major city unions announcing who they're endorsing today (the white-collar AFSCME D.C. 47 went for Fattah; police and fire already backed Brady), it's a good as time as any to take a look back at what the candidates said last week about how they'd deal with the tough contract negotiations that face whoever wins November's general election soon after they take office. The question: You’ll have plenty of work to do with the unions on negotiating new contracts. Describe how you would set out to get compromises from them and work with them toward new contracts and in addressing the pension issue. Fattah says he won't look for compromises from unions, even as skyrocketing pension and benefit costs threaten to submarine the next mayor's goals. Fattah says his "administration would be a pro-city worker administration." We want to make sure we provide adequate pay, benefits and pension so we can have the best workforce of any major city in the country. ... Through attrition they’ve cut the number of city workers, we don’t need as many as we needed before but we need to pay a better pay. ... My sense would not to be to come to the table looking for compromises. I’ve said to the unions, I’m looking to have a collective labor-management goal of working together. Let’s look at where the people who know the best know where we can save the most money. According to Tom Knox, he won't take away any health benefits. It's all about better managing the pension, according to Knox. We’re going to keep healthcare benefits off the table. We might make them better, we’re not going to make them worse. Pension benefits, that’s already established. The only problem is we have men and women that are being hired that are expecting full [value into their pensions] and they’re not getting them. The reason they’re not getting them is because the pension plan for the past eight years hasn’t met its benchmarks. If we could meet our benchmarks maybe we could give these men and women the increases they deserve. I understand how to run a pension plan. Michael Nutter points out in his budget policy paper released this week the importance of addressing the pension and benefits issue, noting that none of his opponents are taking them into account as they make their campaign promises. He calls for a commission to form to study the issue. "I think the most important thing there is there has to be a common understanding of where you are. Let’s at least agree that these are the numbers, this is the base of knowledge from which we are operating. These are the current costs, these are the projected costs, we all agree this is where it’s going. If that’s the case, what will the real impact be on general operating funds, our ability to provide raises and good healthcare benefits and any negotiations I enter into will be coming from a perspective of were all in this together. We all work for the same people, the citizens of this city. It’s not a series of unilateral decisions that by waving the mayoral hands certain things fall into place. Public employees deserve a fair and respectful contract. When people work hard, when people are committed, when people are compassionate they deserve fair compensation. This negotiation around health and welfare costs I think has to be as much negotiation as it is collaboration." There’s a distinction between interest-based bargaining and position-based bargaining. I’m always trying to get people to understand what is our interest. Our interest, all city workers, is for the city to grow. That benefits the current working staff, that benefits the retirees and that benefits the idea of hiring new people. If the city grows, these are the things we can try to achieve. Growth is the No. 1 issue. It goes back to what impedes growth. The [next] mayor has to get fair and be fair with our unions. I'm not waiting to take office in January. I'm talking to them now. ... I'm working with them now. I'm not waiting until January. I think they need to get a fair contract, I think there are ways to get that done. Former Managing Director Phil Goldsmith reprises his role as leadership guru in today's Metro, taking a look at what the next mayor needs to do to provide the right stuff for the city to move forward. With the city losing control over services including the school district and Parking Authority, Goldsmith says the next mayor is responsible for influencing decisions, a skill born of leadership. Also, make sure to check out where all of the candidates stand on what they'd bring to City Hall and how they would deal with keeping their deputies and workers accountable. And, maybe most importantly, how they'd deal with negotiations with the unions on the upcoming contracts that threaten to have a drastic effect on the city budget because of skyrocketing pension and healthcare costs. If you need more, WHYY's Radio Times hosted a roundtable with the Daily News' Elmer Smith and Dave Davies, and former Inky columnist Tom Ferrick on the issue of leadership this morning. Tom Knox's first priority if he's elected: Putting Dunkin Donuts out of business. OK, ok, a bit of hyperbole, but Knox's answers to this upcoming Monday's Primary Concerns about leadership show that he doesn't plan on putting up with any inefficiency in city government if he's elected, including letting people straggle in late only to start their day with a doughnut and cup of coffee. "People don’t like being held accountable, people don't like being told what to do. People don't like making sure they're more productive, people don't like giving up their hour and a half lunch break, they don’t like having to keep their computer on until 5 o’clock. "They don’t want to start at 8 o’clock, they want to have their coffee and doughnuts before. ... We have to hold them accountable and working hard." On the plus side for all of you city workers looking at this blog on the city's dime (I kid, I kid), Knox also says that he would work to protect city workers' healthcare benefits and pensions. He promises that he wouldn't ask for any compromises on healthcare benefits from any union during the collective bargaining process that would begin soon after the next mayor takes office. He says he would consider improving the benefits. Check back for Monday for more on the issue of leadership ... and Chaka Fattah talking about his plans possibly improving not only the city, but ... THE ENTIRE COUNTRY. Ambitious, indeed. 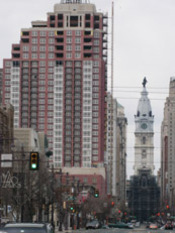 It's the market, more than politics or zoning processes, that determines whether developers keep drawing up plans and pouring concrete in Philadelphia, according to one consultant. Still, the city's zoning and planning process is not exactly one that developers love dealing with. There's the confusion over zoning rules; the myriad departments that need to approve sometimes simple requests (as many as 14, for some); the battle with community groups and the zoning board; a zoning code overflowing with overlays and changes made on an individual, piecemeal basis. Today's Primary Concerns looks at the issue and what the next mayor would do to help streamline the zoning process in the city. What happens next could depend on whether voters approve a May 15 ballot refrendum that would create a Zoning Reform Commission, which would study the issue and make reccomendations to City Council for wholesale changes. Other related referendums include one that would professionalize the planning commission, ensuring that qualified individuals with the proper experience sit on it. "It was a mistake, but mistakes happen," zoning board Chairman David Auspitz said of Kenney's attempt. "Sometimes things sound good, but when you think about them they're not." Auspitz rationalizes that mandating qualifications isn't a good move because it's important that people feel comfortable with the board's members. "They feel comfortable with other people [like them] up there," he said. While some count the number of times a candidate misses one of the myriad forums across the city, we're counting how many times candidates miss their chance to comment for the weekly Primary Concerns feature in the paper. So far, Bob Brady has been the only candidate not to respond to the four or five weekly questions we've been throwing at the candidates for the past seven weeks. In fact, he's missed three questions: SEPTA, casinos and ethics. We understand the candidates are busy and three have serious day jobs representing the people; we only ask for 10 minutes or so (usually less) to connect with hundreds of thousands of Metro readers. Brady campaign spokesperson Kate Philips has always offered to speak in his stead, but we're sticking to the rules: We want it from the candidates' lips directly, or not at all. Strike three for Brady, but we'll keep trying to get his opinion into the paper every week. While the city continues to be plagued by bloodshed — at least 104 murdered as of this writing; more sure to come this week — the main issue in the mayoral race for a large group of voters is ethics and the lack thereof in city government. At least two polls have placed corruption as the top issue in voters' minds, not crime or education. Find out where the candidates stand on the issues here. Also make sure to check out the Committee of Seventy's ethics agenda here. All of the candidates, except Chaka Fattah, signed on to the complete 28-point plan from Seventy. Fattah backed the first three options, while releasing a policy paper on open and transparent government. The Inquirer covered the issue in Sunday's paper, as well. He's the wealthiest candidate in the field, spreading millions of his own money to try to "buy back City Hall," but Tom Knox admitted to Metro last week that he doesn't recycle at home. OK, OK, end melodramatic-sensational blog post. It's not completely his fault, seeing how Knox lives in a condominium which doesn't offer recycling to its residents. The city isn't responsible for collecting garbage or recycling from apartment buildings and condos. An over-the-top environmentalist would challenge Knox for not marching his recyclables to the plant himself, but, really, let he who is without sin cast the first stone. Unfortunately, I can't do it. I must admit I'm headed to recylers hell. All of the other candidates say they recycle at home, but Chaka Fattah says of his recycling habits: "They're like all Philadelphians, they could be improved." Citywide single-stream recycling would be a help, he said. (One of Fattah's ideas include requiring the city to collect garbage and recyclables from condos). Michael Nutter says he recycles at home and work, but his home is still on the every-other-week schedule and only paper, glass and metal. Dwight Evans says he sorts his bottles and newspapers at home and Bob Brady said he recycles at home every other week, but wishes he could every week. I'm tempted to offer a prize to the first snooping gladfly who finds proof that one of the candidates doesn't recycle, but I'll hold back on such yellow journalism. 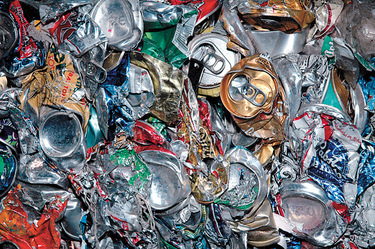 This week's Primary Concerns takes a look at the issue of recycling and the environment, something getting a lot of play so far in this campaign. One of the easiest environmental issues to think about, one that most Philadelphians get at least a weekly lesson in, is recycling. From the days they first started giving out those little blue buckets, to the slow spread of single-stream, recycling has been a perplexing issue in Philly. It almost feels like you need a personal assistant to figure out when it's your week to put the recyclabes out, let alone taking the time to sort papers, plastics and glass. Single stream makes that easier, with everything going into one large container and sorted at the plant. A single-stream recycling pilot program is spreading from Northeast Philly to West and Southwest Philly as the city tries to get its recycling over rate above a meager 7 percent. It's something all of the candidates believe needs to be rolled out throughout the city. For the candidates' take on recycling and the environment go here, or here for the experts' take. Whenever the issue of SEPTA comes up at mayoral forums, Tom Knox makes sure to let everyone know that he sometimes rides the bus. 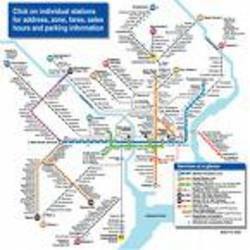 Just so you know, even multi-millionaire businessmen-turned mayoral candidates know the travails of SEPTA, from off-schedule buses to annual fears of fair hikes to that wonderful smell emanating from the (insert stop) subway station. This week's Primary Concerns addresses SEPTA, with looks at what transportation experts believe the next mayor has to do to address the transportation authority's issues. The candidates offer up ideas from reestablishing the office of transportation to teaming with outlying local governments to go to Harrisburg to fight for dedicated funding. NOTE: Bob Brady declined to participate this week. Spokesperson Kate Philips offered to give a statement in his stead, but we're keeping to our rules of no spokespeople allowed. Direct from the candidates' mouth to you is the way we do it. Me? Not an expert on the role of taxation and its effect on the city's job market, although I tried my best Monday. Wharton economist Dr. Bernard E. Anderson? His analysis will do. Anderson, the first chairman of the Pennsylvania Intergovernmental Cooperation Authority (1991 to 1994) fired off some of his thoughts to the responses of the candidates to questions about what they would do to address workforce development. "The responses of the mayoral candidates on job creation in Phila. shows that most don't have a clue about how to solve the problem, or are not leveling with the voters on what really should be done." Anderson says that voters should look at the candidates' records on job creation. He said he supports said that only Dwight Evans has "demonstrated a record of success," for his work with the Ogontz Avenue Revitalization Corporation in West Oak Lane. The economist calls Michael Nutter honest for his response that the next mayor should "begin by assessing the impact of past policies." "The responses of Fattah, Knox, and Brady show that they really have no solution to the problem." "The candidates should know that the major barrier to creating and retaining jobs in Phila. is the BPT. Many studies by reputable economists and public policy experts have identified that as the single most important job killer in Philadelphia." Among Anderson's other critiques, he calls out Tom Knox's idea to "go out and bring businesses to the City." He says Knox should know that taxes are the main barrier, not the workforce. He then turns to Bob Brady, calling his idea to provide vo-tech training to all high school students "silly and thoughtless."